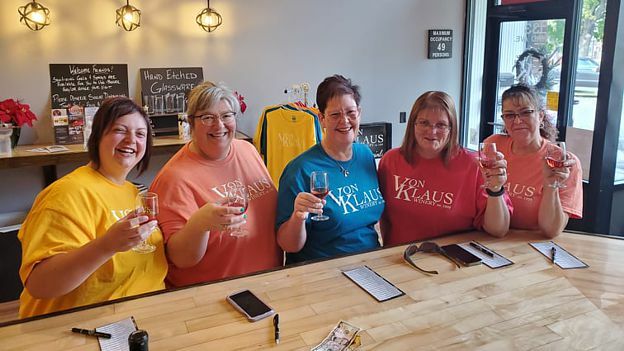 Baraboo’s own Von Klaus Winery, invites you to experience its remarkable line of hand crafted, original recipe, all natural ingredient wines with no preservatives and no added sulfites. We have attempted to capture the essence of each wine with words however, the best way to experience them is in the tasting! It would be our pleasure to share our wines with you at our Tasting Haus located in Historic Downtown Baraboo Wisconsin. Since 1999, the Von Klaus Winery has been celebrating the beauty of the Baraboo Bluffs with the fruits of their labor. 20 different wines are produced using old world tradition with modern wine-making technology. Von Klaus offers signature fruit wines combining fruits like blackberries, pomegranates, raspberries, blueberries, strawberries, mangos, peaches, cherries and even kiwis in unique and delicious blends. You just have to try them to believe them! 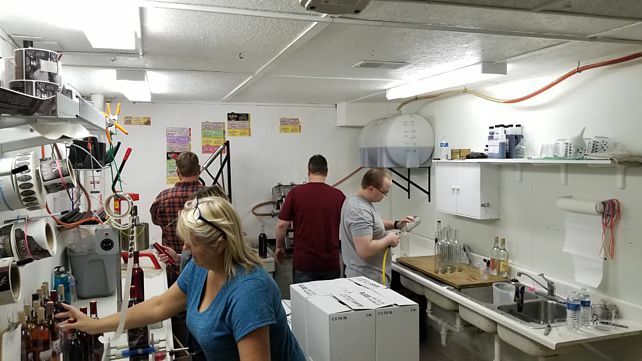 Volunteers make up the work force needed during the bottling process. As many as 8 people are needed to run the bottling line. This includes sterilizing, filling, corking, capsuling and labeling. All is hand done, one bottle at a time! Come in and experience for yourself, what all our hard work can bring to the table for YOU!! 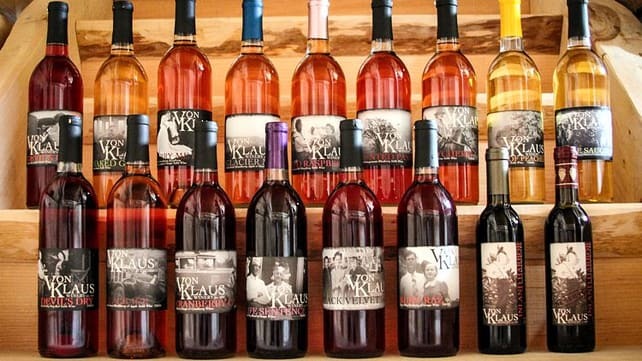 Page Summary: Von Klaus Winery offers WI wines with natural ingredients. Wine tasting is available at our Wisconsin winery. You can see our wine bottling process as well as buying wine and winery tasting are also part of the scope of our business. 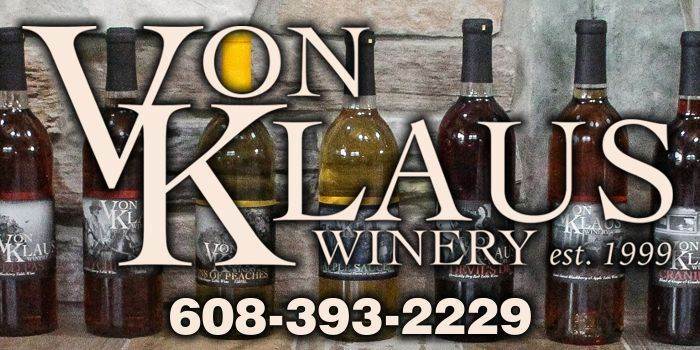 We also specialize in von klaus winery tasting haus, best fruit wine in Wisconsin Dells as well as Prairie Du Sac and Reedsburg WI. Other areas we serve include Madison, Baraboo, Sauk City and Lake Delton. We also service Sauk County, Devils Lake and beyond.